"An affectionate look at the people of the Margaree Valley in Cape Breton, Nova Scotia, by a Nantucket Islander and skilled photographer who has come to live among them. George Thomas has documented the rustic character of the Margaree people in an arresting collection of photographs. These, together with live-action scenes filmed in the autumn, produce a nostalgic study of a passing way of life." National Film Board of Canada. 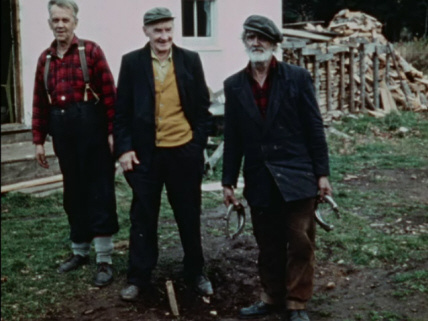 "NFB -- Margaree People." National Film Board of Canada. http://onf-nfb.gc.ca/en/our-collection/?idfilm=11279.